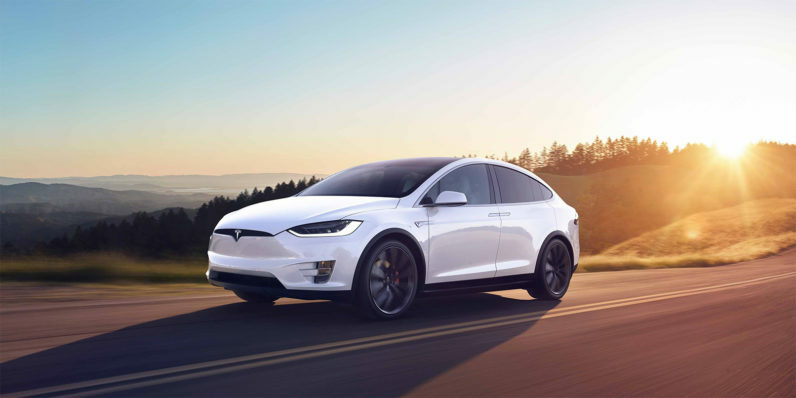 When it comes to automotive technology, green cars are certainly the latest trend yet, despite all the talk about the latest Tesla, many of us still don’t actually drive such a vehicle. Electric vehicles – or EVs for short – are certainly greener and the benefits speak for themselves. They don’t require fossil fuels and they’re cheaper to run, yet this doesn’t seem to be enough to increase their adoption rate. It’s certainly not that we love our old fossil fuel cars. It’s also not that we get disappointed when the cars aren’t actually painted green. It’s actually down to a number of different factors, as green vehicles don’t always address the more pressing needs of today’s drivers and consumers. When we talk about EVs and other ‘green’ cars, we are often primarily talking about the fuel source. This move away from fossil fuels ensures we don’t use carbon-emitting sources to power our vehicles. If you have an electric car, it is only as ‘green’ as how this power is generated. Yet many countries still use fossil fuel. Looking at global energy consumption rates, it’s clear the world still generates around (as of 2013), 81.2 percent of its power from fossil fuels. Don’t think that this is just because of other countries, as there are some surprising figures. The US? Still generates around 80% of its energy from fossil fuels, as does the U.K. If you’re in a first world country, there’s a good chance you’re powering your car through the very means the car is meant to avoid. On a similar note, it takes plenty of materials to make a car. Metal, plastic, glass, rubber and more all go into making a vehicle. Many of these can be recycled, but that doesn’t mean everything actively is. This is one area that is, however, a little hopeful. Ford already uses enough recycled aluminium for 30,000 truck bodies each month. This doesn’t change the fuel source, but it’s certainly a move in the right direction. As for EV’s, there is also the battery. These use lithium-ion as a core component, just like your smartphone likely does, yet nobody refers to their latest iPhone as green and eco-friendly, do they? Lithium-ion is not an unlimited resource, but it can be recycled. However, this is up to consumers to remember. There’s also the case of supply and demand. Many devices already use lithium batteries, and it’s not clear if the current recycling rates can keep up with increased demand. The same can also be said for the various rare earth metals used in the magnetic and electronic components (it turns out electric cars have many electronic components). Until this is accounted for, this is another area where the ‘green’ status of any given vehicle is still up in the air. People still want to be green, yet they aren’t buying EVs in hordes… so what are the factors that do matter? In short, many people are looking to make their existing car more environmentally-friendly. It’s much cheaper to make this change then put down $35,000 for a new Tesla. Economic driving can be done in a number of ways. Driving at an optimal driving speed of 55 mph offers the most fuel efficiency, while slowing down naturally and not running the motor in idle also help cut down consumption. Likewise, cars can be modified to be more efficient. Reduced weight, correct tyre pressure and other fuel-efficient adjustments all help. Particularly adventurous drivers are even converting their diesel cars to take bio-fuel. Similarly, what about the likes of carpooling? Roughly one in ten Americans carpool, yet this alone saves 85 million gallons of fuel, as well as $1.1 billion in costs. With the likes of Lyft and Uber making it easier to get a lift when you need it, the way people even view cars as a method of transportation is already changing. If you give someone a choice between saving money by being green, or spending money to buy a new EV, it shouldn’t be surprising to see which option many people are choosing. A car is a big investment and, similar to modern technology as a whole, it’s hard to put down large amounts of money when you can see the next big thing around the corner. Right now, many car companies are producing EVs, which quickly replaced the hybrid model. Yet, we’re already seeing many big names, including the likes of Google and Apple develop completely driverless cars. If you’re looking to make such an investment, why spend now when this new technology is already being developed? Driverless cars will still be electric but they take many of the tasks mentioned previously, such as fuel efficiency, and them for you, too. When looking at the current range of commercial electric vehicles, it’s easy to notice some very common trends: Hatchbacks, saloons and other compact cars are very the order of the day. This is great for for inner city driving and for the occasional highway trip, but what about all the other areas? Cars are complicated. Even most drivers don’t know understand how their current car works, often lacking basic car maintenance knowledge. An EV represents the great unknown and, for many people, that’s a scary prospect. Studies have even shown this. Many experts have noted that people will easily change their views on EVs – for the better – after having actual experience inside an EV. This makes sense, when you think about it. Aside from all the talk of new power sources, regenerative braking or new technology, the actual controls are more or less the same. Drivers will still feel familiar in the seat of an EV and many of their key skills still matter. EVs can’t do everything – it’s still up to the driver to charge the vehicle, change tire size or ensure the overall maintenance and control of the vehicle. Sometimes, it just takes an actual first-hand encounter with such a vehicle to get this point across.